A. Smith Consultancy is a brand storytelling firm built on the principles of authenticity, integrity, and meaningful work. We take a strength-based approach to marketing and communications, we believe in the power of stories, and we partner with clients to build vibrant brand communities. We focus on process. Dialogue. Discover. Connect. Engage. Story Mine©. Communicate. Celebrate. A. Smith Consultancy is small cadre of possibility thinkers. Angela Smith is the face of the organization; however, she collaborates with an amazing team of consultants, writers, designers, marketers, and social media gurus to offer clients smart, creative, and innovative brand services. Brand Strategist. Writer. PR Consultant. Angela takes a positive approach to life and business. Driven by purpose, passion, and profit, she enjoys putting her experience and expertise in branding, public relations, writing, and communications planning to work for values-driven organizations. She specializes in identity and image development in the areas of economic development, tourism, health care, education, and sustainability. At the core of everything she does is a belief in the power of stories and a commitment to authenticity. As an independent consultant, Angela partners directly with organizations, essentially becoming part of their marketing team. She also works extensively with marketing agencies, including Huard Marketing and Karla McGowan Public Relations in Portland, Maine, and idgroup in Pensacola, Florida. Over the past 15 years, Angela has gained national and regional experience across a spectrum of industries within both the business and nonprofit sectors. This background, coupled with her ability to work well under pressure, overcome adversity, and engage in big-picture thinking, translates into successful communications planning and implementation for clients. Angela graduated from the University of Maryland with a bachelor’s degree in Journalism. 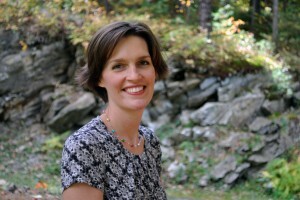 She is a member of Maine Businesses for Social Responsibility and Maine Public Relations Council.